But A3G would prefer not to engage in such ex post facto updating. If you have any info about the Supreme Court law clerks for OT 2005 who have not yet been profiled, please email A3G sooner rather than later, so she can include your contributions the first time around. Okay, you've all been very patient -- which A3G appreciates, because she has been very busy. Now it's time for your reward: the UTR celebrity profiles of the four hunks selected by Justice Anthony M. Kennedy as his law clerks for the next Term. Please join A3G in a round of thunderous applause for a most impressive quartet: AMK's clerks for the October Term 2005! (g) he's a fan of the New York Giants, "although though there's a special place in his heart for the coaching genius of Bill Belichick." (f) on August 27, he will be marrying the lovely Sarah Bennett (with whom he is pictured at right, at last month's Law Review banquet -- click on the thumbnail image for a closer look at their excellent teeth). (e) "Zach Price was on a moot court team with two current members of the Elect, Michael Scoville and Henry Whitaker." More on this tidbit: "The other team members were Lindsay Harrison, a law clerk to Judge Alan S. Gold (S.D. Fla.); Amber Holley, now at O'Melveny & Myers; and John Couriel, now at Davis Polk (and one of Zach's groomsmen, incidentally). They lost in the semifinals, but Zach's work was brilliant and he was a wonderful team player." Sensational! Article III Groupie sends her congratulations and best wishes to David Cooper, Randy Kozel, Jeff Pojanowski, and Zachary Price. As the law clerks to Justice Kennedy, the swing vote in many a case, these four men may find themselves holding the balance of power at One First Street next Term. A3G urges them to use their power wisely. And since Justice Kennedy does his own internet research, would you mind bookmarking Underneath Their Robes on his web browser? * The clerks to retired justices assist the active justices in the work of the Court. This explains why Justice Stevens for a time hired only three clerks of his own -- he got help from the clerks to two of his retired colleagues, Justice White and Justice Blackmun. ** Number two in the class: Kathryn E. Judge, currently clerking for Judge Richard A. Posner, and soon to be profiled in these pages as a future clerk to Justice Breyer. 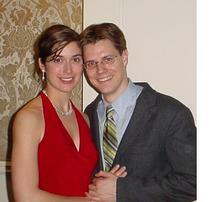 For more details about the academic accolades of David and Kathryn, click here (pdf). *** The Harvard Law Review team that year also included several other members of the Elect: Jeff Pojanowski, Randy's AMK co-clerk; D. John Sauer, the incoming Scalia clerk; Matt Stephenson and Michael Scoville, current clerks to Justice Kennedy; and Henry Whitaker, a current clerk to Justice Thomas. You commented about the number of clerks Justice Stevens has. Though I can't speak about the current number of clerks he has, Justice Stevens has a history of having fewer clerks than the rest of the Court. There was a joke (not really a joke) in "The Official Lawyers Handbook," published in the early 1980's, that Stevens' clerks were overworked because he only had two of them, and Blackmun's clerks were overworked because he only had four of them.